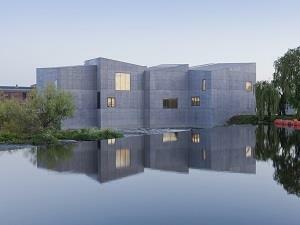 Wakefield Collection at The Hepworth Wakefield01924 247360workArt GalleryWakefield’s art collection consists of over 5,000 works. At the core of the collection is a significant group of work by modern British artists including, most notably, Dame Barbara Hepworth and Henry Moore who were both born in the Wakefield district. From its foundation in 1923, the original Wakefield Art Gallery adopted an ambitious collecting policy with a core aim to nurture an understanding of contemporary art. Works by the leading artists of the time, who have become synonymous with shaping Modern British art, were collected. Works in the collection include Hepworth’s Mother and Child (1934) and Moore’s Reclining Figure (1936) from an important period in the history of British art, during which many artists such as Ivon Hitchens, Paul Nash, Victor Pasmore and John Piper began to experiment with abstraction. Wakefield’s art collection consists of over 5,000 works. At the core of the collection is a significant group of work by modern British artists including, most notably, Dame Barbara Hepworth and Henry Moore who were both born in the Wakefield district. Other leading British artists are also represented in the collection, including: David Bomberg, Roger Fry, Harold Gilman, Duncan Grant, Ben Nicholson, Patrick Heron, Lucie Rie and William Scott.